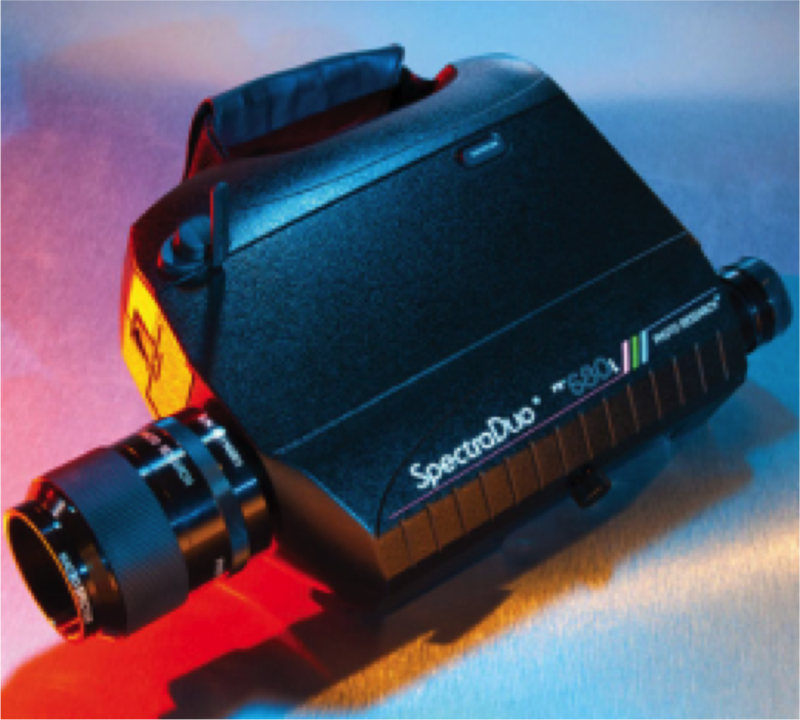 Include the only truly portable battery operated Spectroradiometer, the fast scanning SpectraColorimeter and it is complemented by an industry first automated aperture wheel SpectraScan. 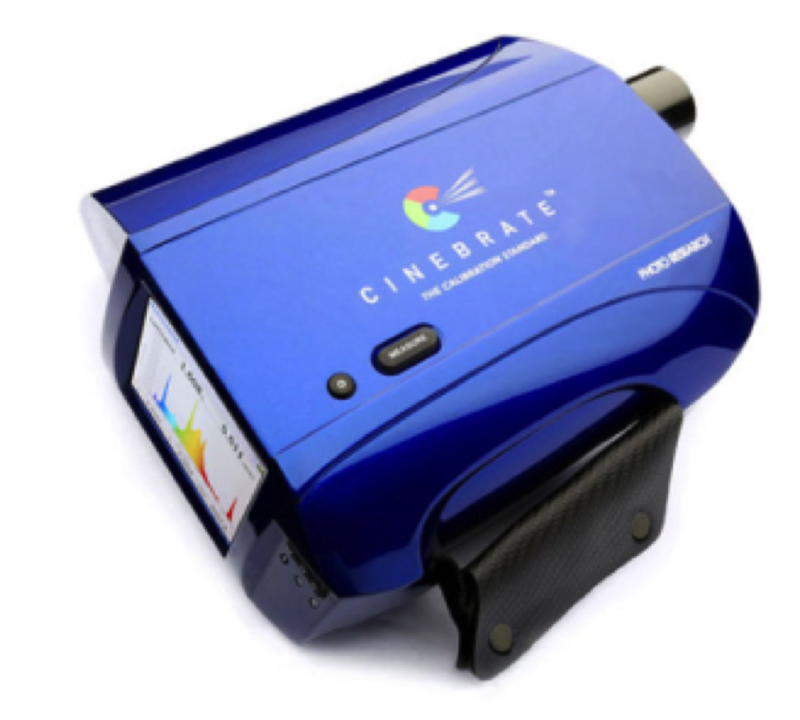 CINEBRATE is a spectroradiometer solution specifically designed for the calibration and verification of digital cinema projectors and post-production displays. The PR-680L SpectraDuo marks the beginning of a new era in light measurement. This unique patent pending, battery powered portable instrument is the first and only combined fast-scanning 256 detector element spectroradiometer and PMT based photometer on the market. The PR-680L has three available operating modes. 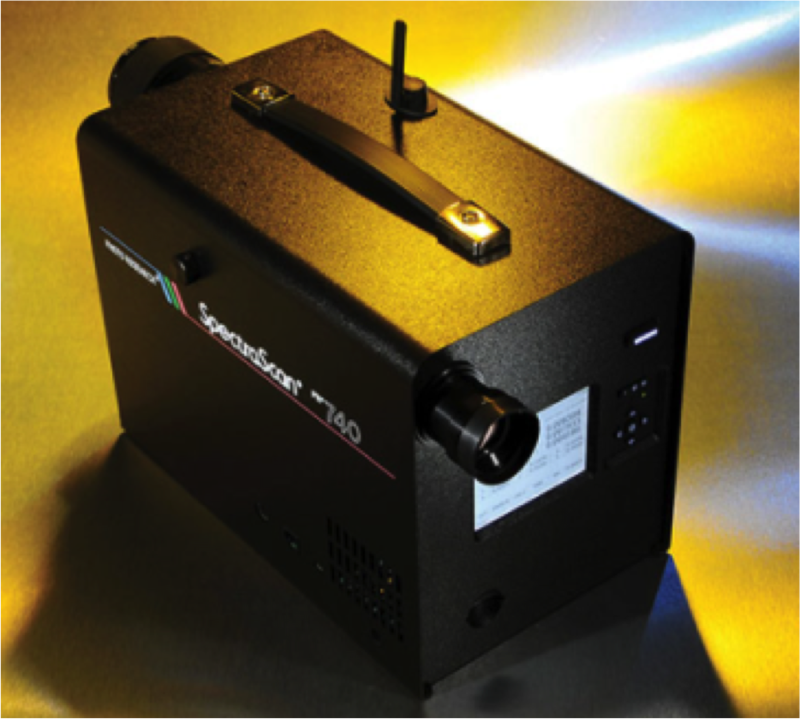 The PR-740 SpectraScan spectroradiometers have the superior sensitivity and speed. For the PR-740, the minimum measureable luminance is 0.000005 footlamberts ( 0.000015 cd/m2). For the PR-745, 0.0000025 footlamberts (0.0000075 cd/m2). 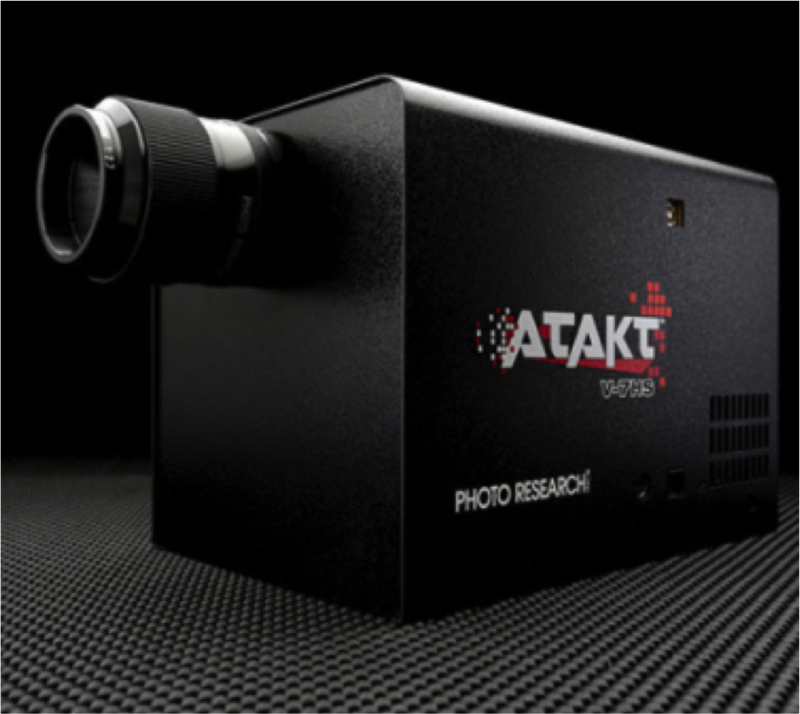 The A-TAKT™ spectroradiometers is capable of performing in-line production testing with spectral accuracy at or near real-time speeds while providing the highest degree of accuracy available for determining intensity (luminance) and color (chromaticity) of FPD's regardless of the technology – CCFL, LED Backlit LCD or OLED etc.